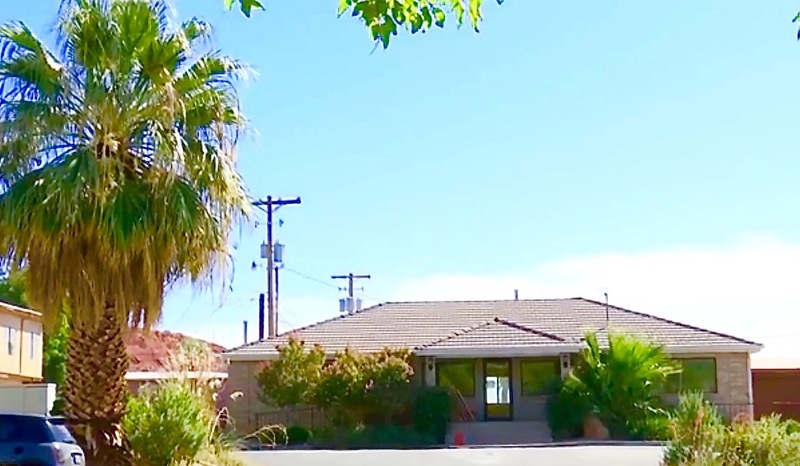 ST. GEORGE – After 40 years of being housed in the historic Pioneer Courthouse on St. George Boulevard, the St. George Area Chamber of Commerce will be moving into a newer, state-of-the-art facility early next year. The new home of the chamber is slated to be a building on 100 East that once housed the Washington County Water Conservancy District. It is located just across the street from the historic courthouse. The inside of the new building is being completely gutted and renovated to meet the needs of the chamber and its members, McArthur said. Among those needs in particular is that of space. When a person enters the old courthouse on the first floor, they are greeted with a small lobby area and a hallway that stretches to the back of the building. There are offices on either side of the hallway, but no large spaces where chamber members can gather en masse. 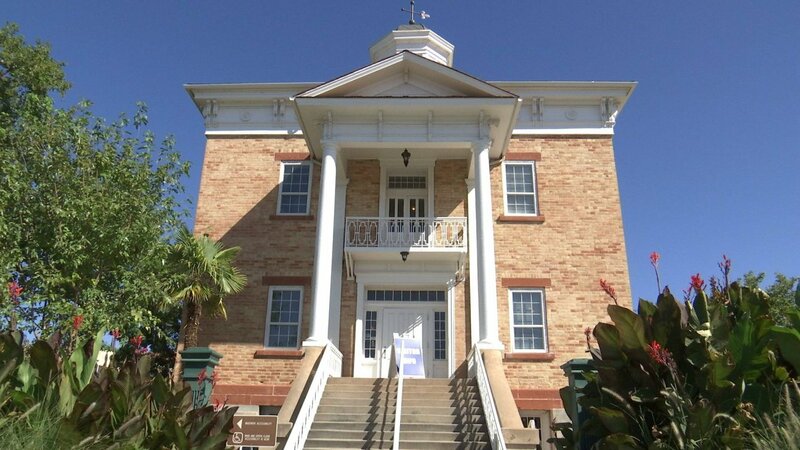 On the second floor is the old courtroom and related facilities that cater more to tours of the historic downtown area. In contrast, the new building, which is also two stories, will have increased office space, a large space that will be able to host up to 100 people and a board room that can seat up to 25 people. The additional space can be potentially used by new and existing businesses, as well as nonprofits once the renovations are completed, McArthur said. The renovation of the new building is estimated to run $300,000. 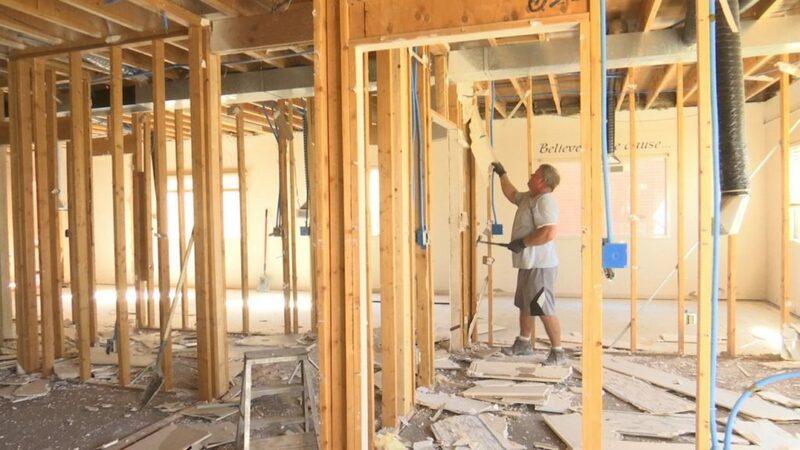 A number of donations toward the project amounting to around $50,000 have already been given to the chamber through members such as Dixie State University, Stephen Wade Auto Center, RAM Company and Security Service Federal Credit Union. 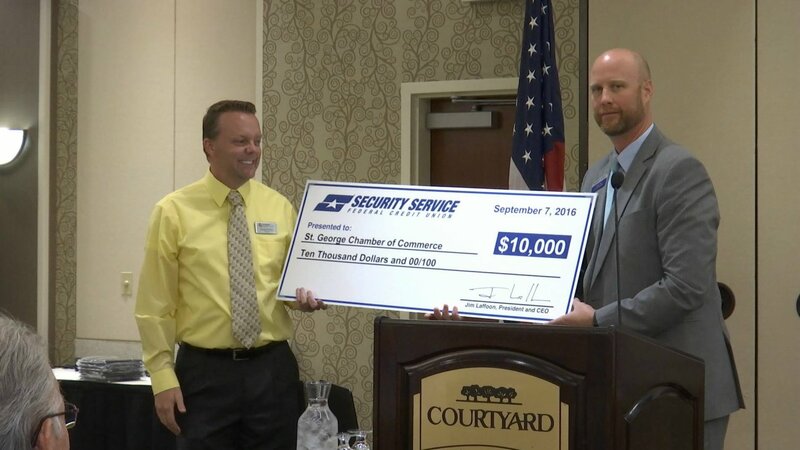 A donation of $10,000 was presented to the chamber last week by Security Service Federal Credit Union during its weekly chamber luncheon held Sept. 7. “We’re excited to be able to contribute,” said Greg Reed, senior vice president of Security Service Federal Credit Union. “It’s needed space where business can get together and talk about the future and growth and development in the St. George area,” Reed said. 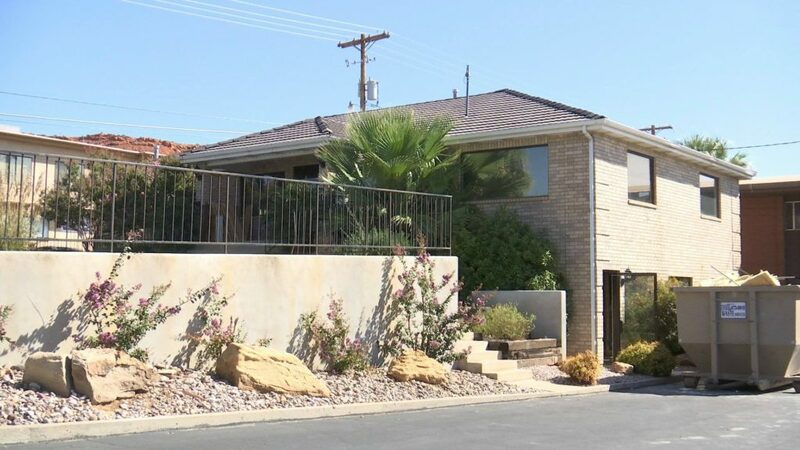 The St. George Area Chamber of Commerce has 750 members and serves businesses not only in St. George but also the surrounding area. It also serves as a place that businesses outside of the community can have a presence they may not otherwise have in the area. It also provides political advocacy for the business community. “Our goal is to help business be seen and heard here in Southern Utah,” McArthur said. The plan for the historic Pioneer Courthouse is to turn it into a visitor center for the area packed with a plethora of information about St. George and Washington County overall. “It will be a one-stop shop to find out everything you need to know (about) and can do in Southern Utah,” McArthur said, adding there will be a great deal of recreation information as well as what you need to know about potentially relocating to the area. The St. George Area Chamber of Commerce should be settled into the new building early next year – around January or February – and will hold a ribbon cutting and public open house once the move is complete.